It’s the morning after a significant day for us in this year’s League campaign, with yesterday’s Round 7 success over Monaghan sending us into the Division One decider against Kerry at Croke Park next Sunday. Here’s the coverage, from the usual sources, that’s online relating to yesterday’s match at MacHale Park. Locals: Mayo Advertiser, Connaught Telegraph, Northern Sound. Others: GAA, RTÉ, The 42, Breaking News, Sports News Ireland. Ladies match (reports and pics): Mayo Advertiser, Connaught Telegraph, RTÉ, Inpho, Sportsfile. By the way, I did my usual post-match audio report while I was at MacHale Park, which covers both games played there yesterday. You can listen to that here. That’s the lot, plenty to feast on there. 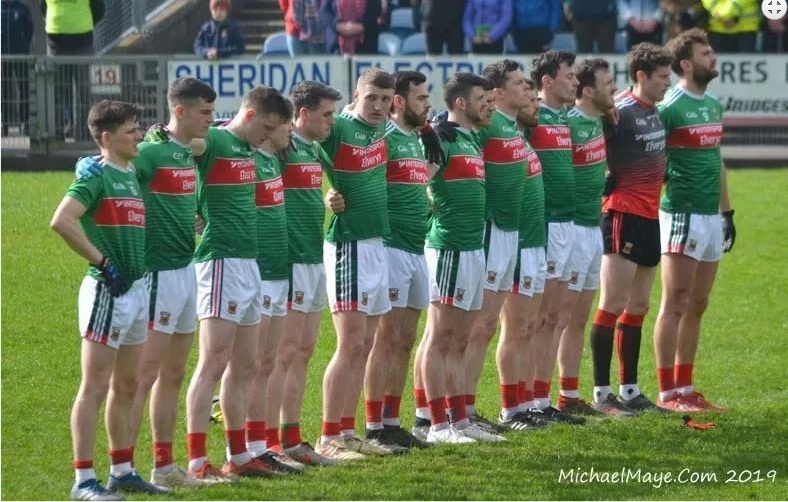 Back later on with the latest episode of the Mayo News football podcast – one of two episodes this week, we’ll have a League final preview online in a few days as well – and later again with the results of the MOTM poll, where voting will remain open for a good while yet. If time permits, I might get to do the prediction mini-league update today as well, which should help clear the decks ahead of the coming weekend. Because – lest you need reminding – we’re playing in the League final then. From the depths of despair after Newbridge to planning for a league final in 6 days times. Looking forward to the walk over Ballybough bridge and then turning left into the Cusack stand, take your seat and off we go again. Big week for JH to try pick a match day 26! mini moan – if you try and buy additional tickets with season ticket, you are parked beside the hill. Re: ‘The Monaghan Red Card’ ..It probably was a Red Card offence alright, maybe not a blatent Red Card, but a Red Card all the same…. I think anything around the head will be a sending off, much more regularly than it was in the past… and I welcome this evolution of the game, everything must be done to reduce the risk of injury to player’s.. Niall Morgan, I don’t believe intended to do any harm to Paddy Andrews the previous week, but it certainly was reckless enough to merit a Red Card.. Paddy Andrews must now undergo surgery to repair a broken jaw…. With the strength and conditioning of player’s nowadays, even a textbook shoulder to shoulder challenge can lead to serious injury… Eg, yesterday at Nowlan Park, One of Ireland’s favorite sportsman and hurler, Joe Canning was stretchered off after a perfectly executed fair shoulder…. No one likes to see any player pick up a serious injury, and player’s can’t complain if they get their matching orders if they cross the line….As for the youngstes shouting, ‘Get him off’ I don’t like it, I actually never heard it at the match yesterday at all, I had the earphones in listening to Midwest Radio, almost as important updates from Healy Park, as the Match in front of my eyes, but I am old enough to remember the 1985 replay? 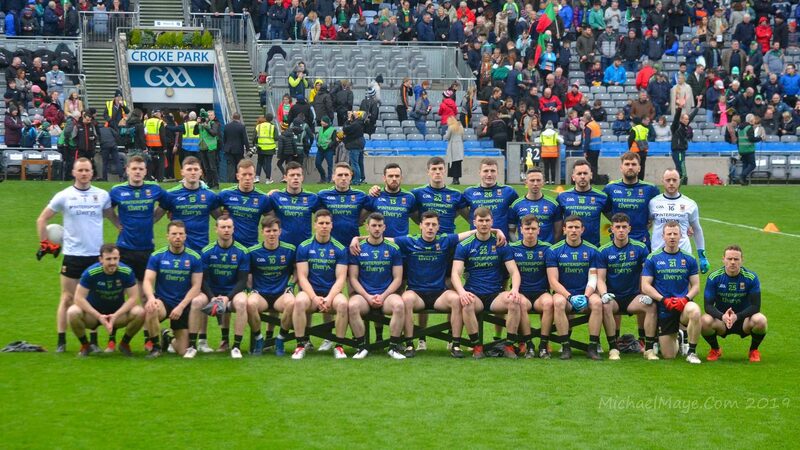 of Dublin and Mayo, the booing of Dublin’s Barney Rock was shocking…. The Mayo fan’s were convinced that Barney had something to do with, John Finn’s broken jaw in the drawn Match.. It’s still a mystery, up there with what ever happened to Lord Lucan, as what happened to John Finn’s jaw!….by the way, it wasn’t all youngster’s doing the booing on that day either! The truth there was alot of late hits from monaghan players all threw the game after the clarke hit the linesmen were wise to it. If monaghan played football they would have won or got a draw at least,its not there first time coming to mchale park with that atitude. Ronaldson plastered into the advertising board a few years back and they finished with 13 men and lost. Horan has a head ache this week but no better buachail to get the match ups spot on. Think we need to win a league before an allireland,what a lift it would give this team. Theres no reason we shouldnt. Fergal Kelly of Longford in charge for the final. I can’t say that I know much about him. Anyone have any knowledge? Have to say I like Duggans style of reporting in the Irish Times. Must advise Brehony to have a look.